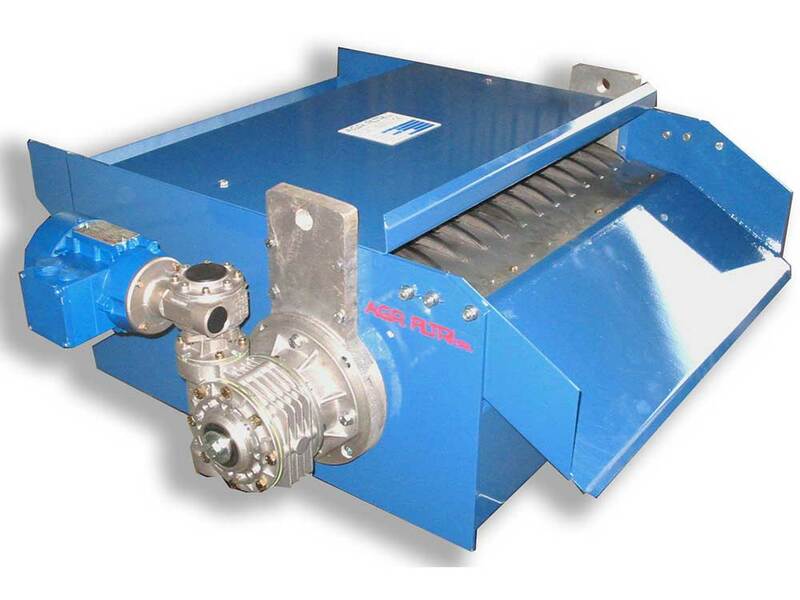 Flow rate from 50 to 2,000 l/min. 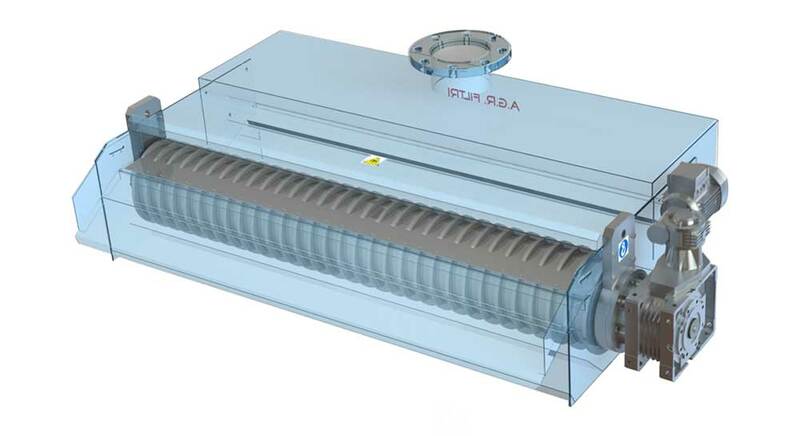 AGM-1 Light series from 50 to 500 l/min. 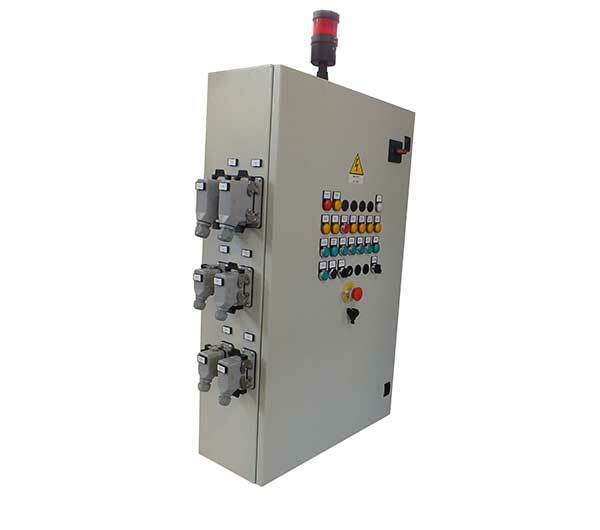 AGM-2 Heavy-duty series from 600 to 2,000 l/min. 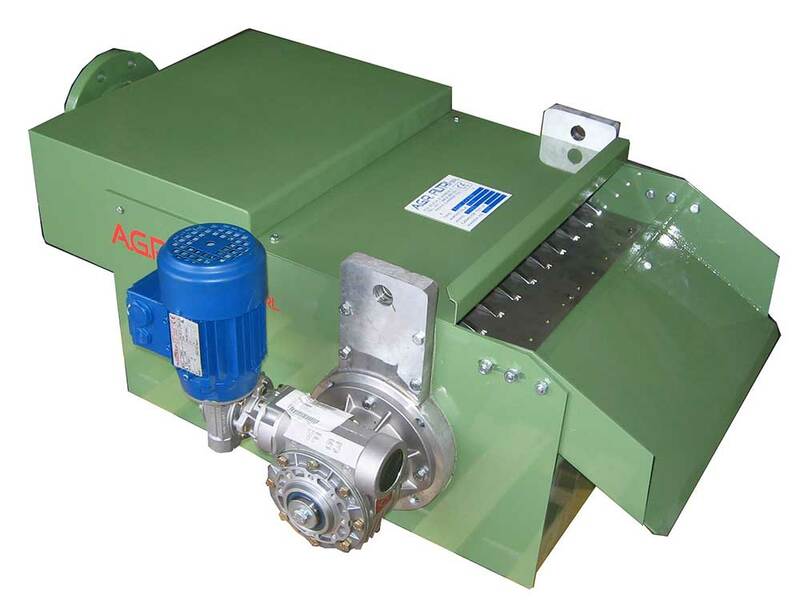 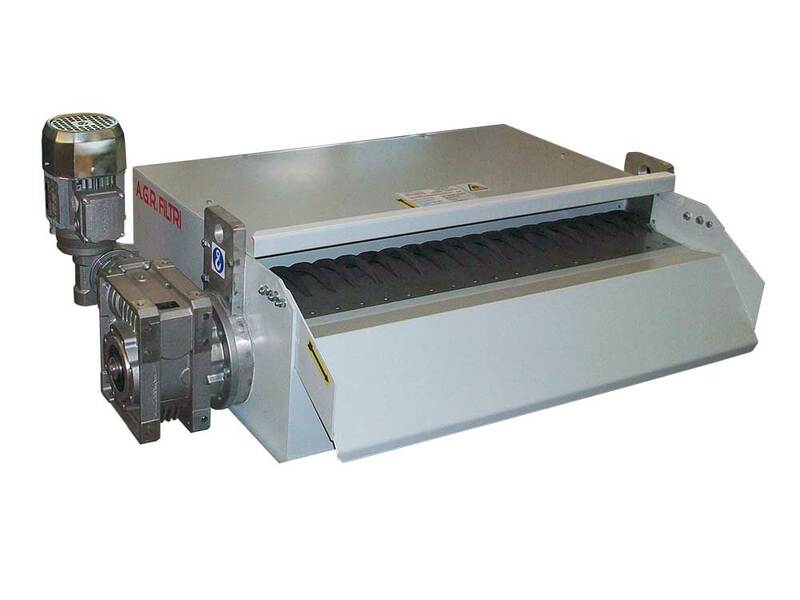 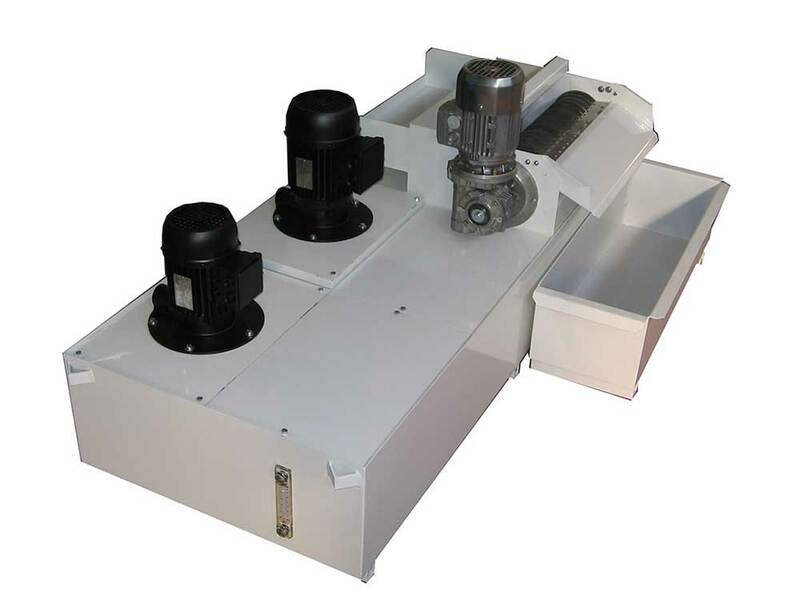 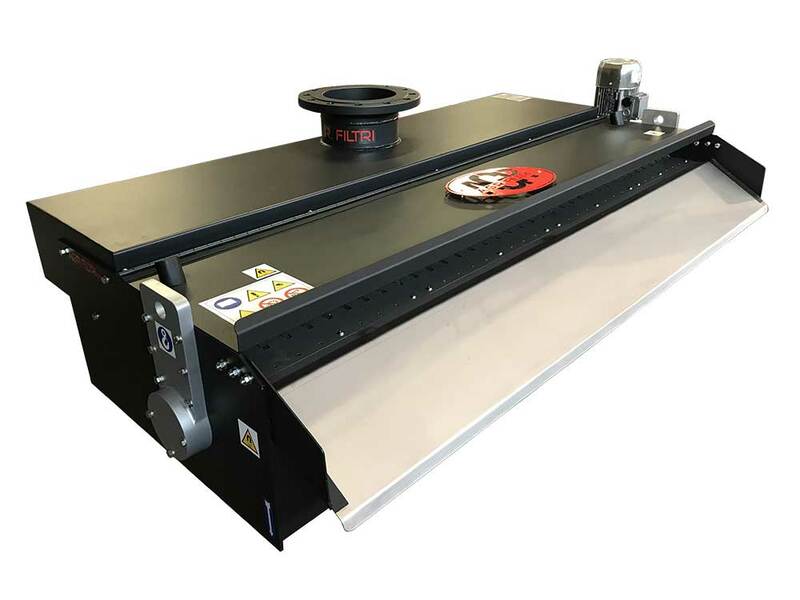 AGM- R Housed series up to 300 l/min. 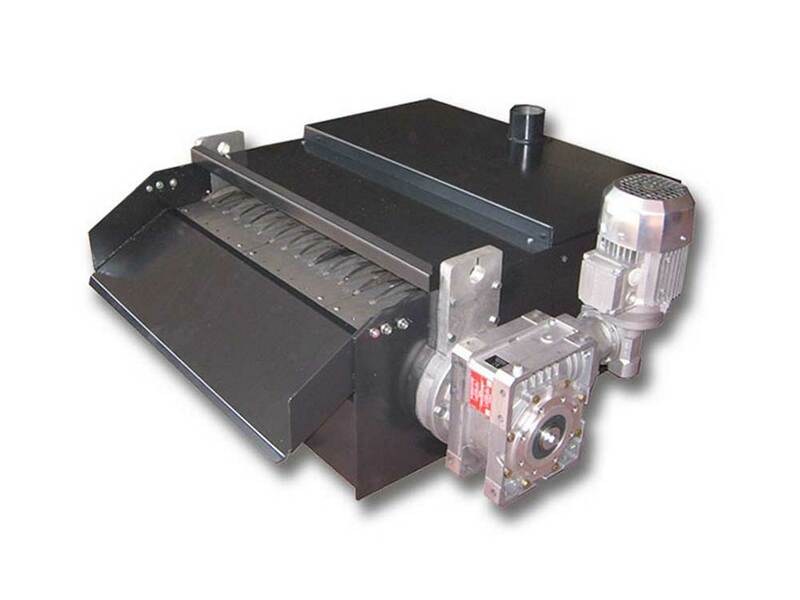 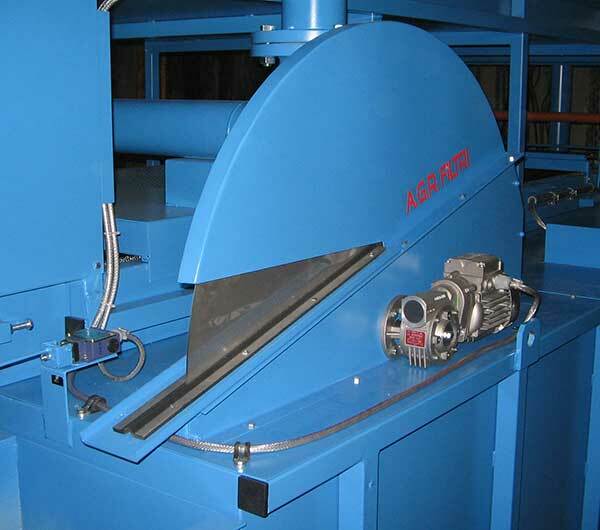 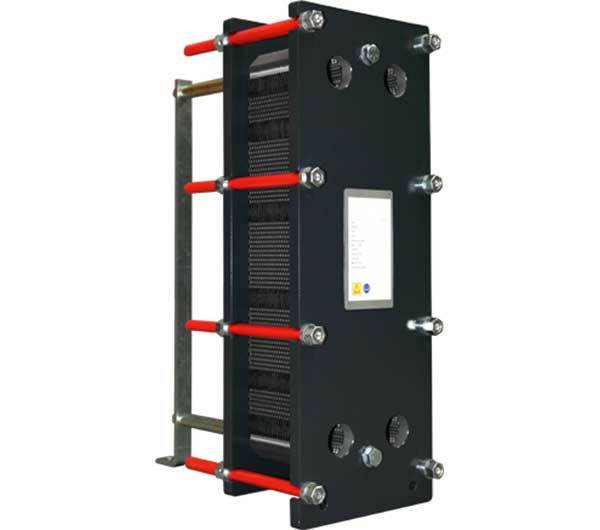 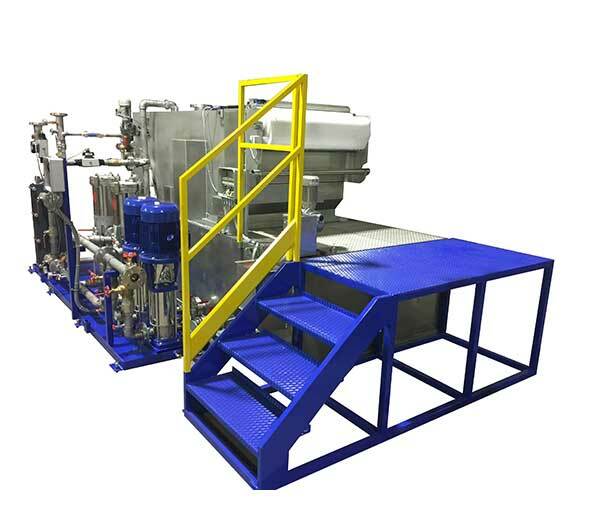 The liquid that needs filtering is introduced into the diffuser and evenly distributed on the rotating drum with magnetic disks which capture the ferrous particles and the non-ferrous particles that are mixed with them. 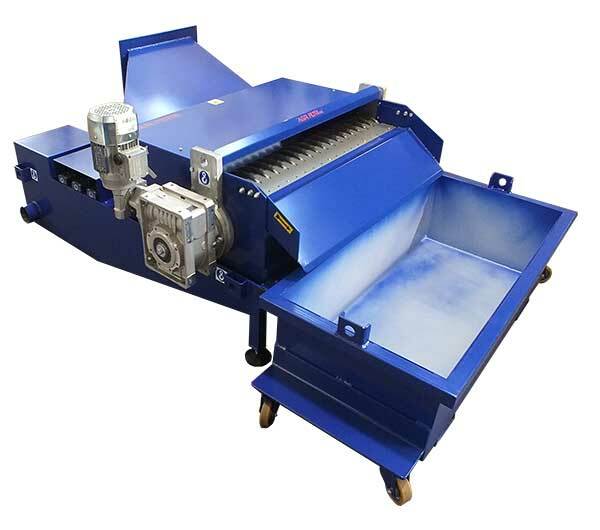 They are scraped from the drum with a stainless steel comb and discharged into a collection bin via an adjustable chute. 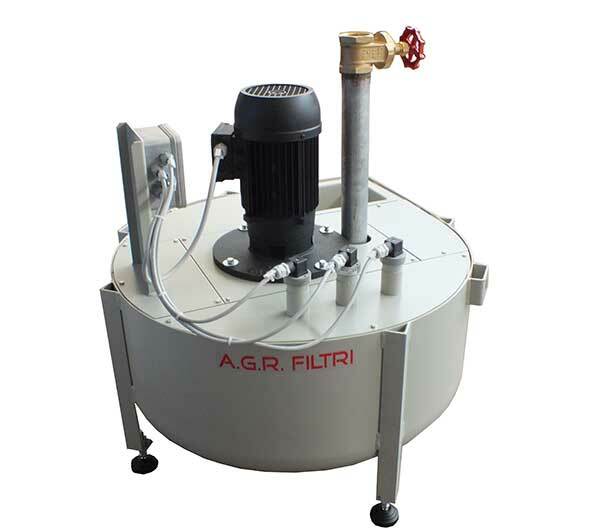 The filtered liquid is discharged by gravity from the bottom of the filter system. 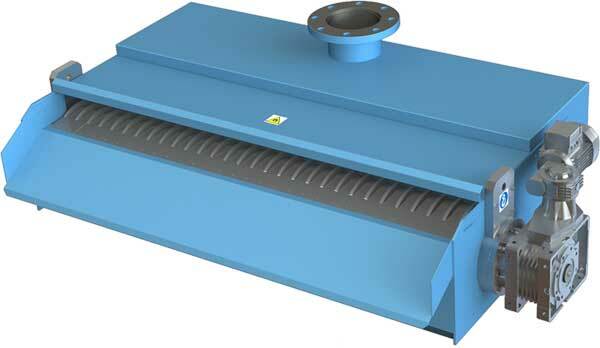 If the magnetic separator is used on its own, the filtered liquid is collected in a tank and recycled or pumped to another treatment system. 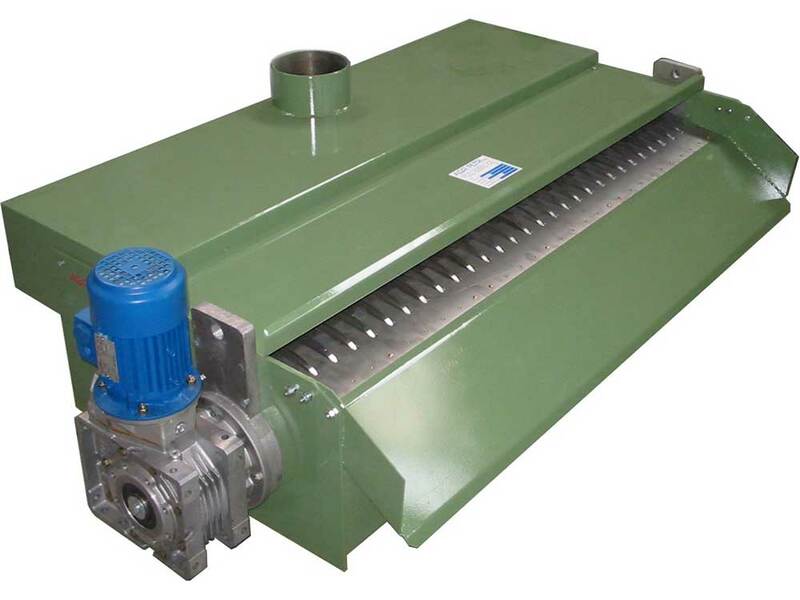 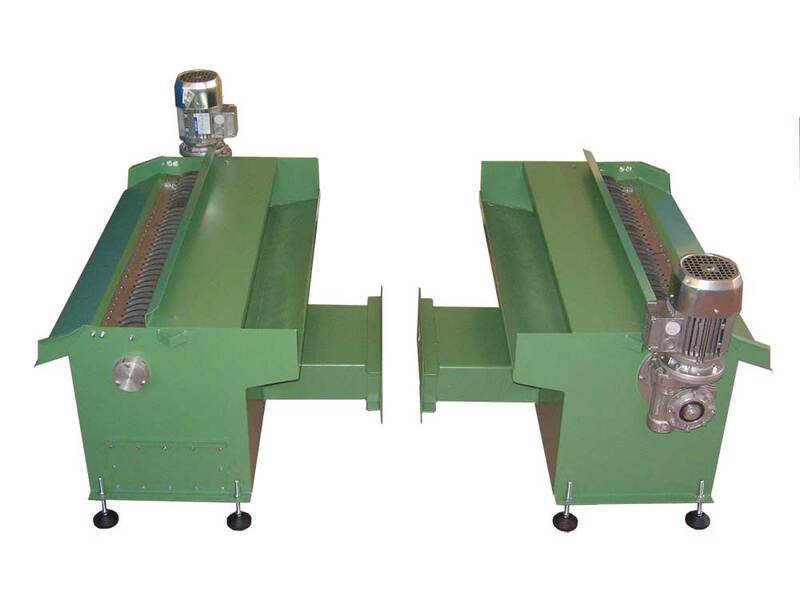 If the separator is used as a pre-filtration step, the liquid is discharged into the diffuser by the filtration system with fabric filter or the self-cleaning system below.